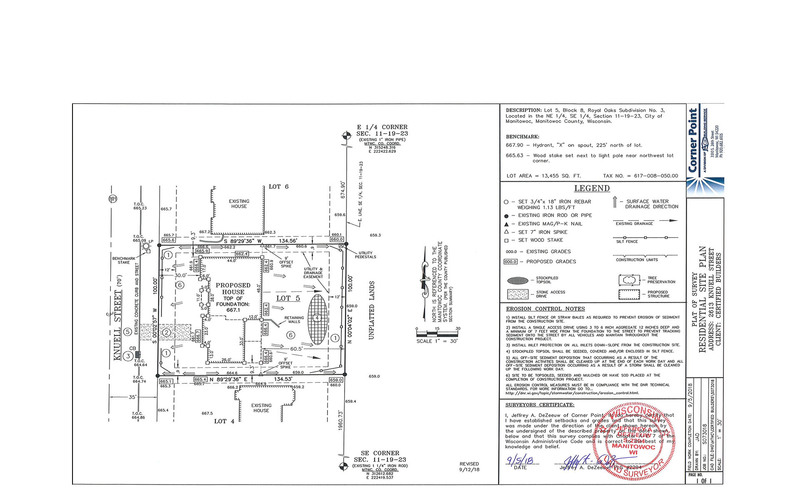 This residential site plan was prepared for Certified Builders, LLC, one of the area’s full-service homebuilders. Here it was vital to position the house on the lot while providing for proper drainage of surface water away from the building without causing problems with the existing adjacent houses. The original house plan was reversed, with the garage on the north side of the house. We determined that a reversed floor plan would work better with the existing grades of the adjacent lots and houses.